Is there a better alternative to DropFrame? Is DropFrame really the best app in Image Editing category? Will DropFrame work good on macOS 10.13.4? DropFrame is an application that allows you to frame your images quickly and easily. 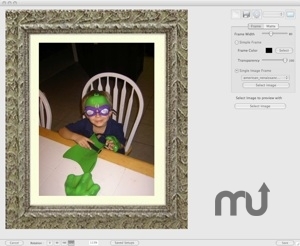 You just configure your frame and then can create new framed images quickly. DropFrame needs a review. Be the first to review this app and get the discussion started! DropFrame needs a rating. Be the first to rate this app and get the discussion started!